Update 1.65 "Way of the Samurai"
Update 1.65 "Way of the Samurai"(changelog) was introduced on 20 December 2016. The update is distinguished by being the official release of War Thunder, as well as introducing the Japan tank tree and low detail "scaled" cockpits for all aircraft which did not have a cockpit. New scaled cockpits models for all aircraft which previously did not have one, have been added. New features in the X-ray view for aircraft in the hangar have been added. The ability to manually control bomb doors has been added. The ability to drop bombs as a series has been added. Arcade bomber sight has been turned off for Realistic Air Battles and in Combined battles. Damage model. Shell fuse mechanic for ground vehicles has been improved. Now for successful detonation, the parameter of the structural strength of encountered obstacles will be considered. This eliminates the possibility of the shell explosion with high sensitivity fuse (in the parameter of the encountered armour thickness) on small components and items with less strength (track elements, chassis components and thin screens). Range parameters for the detection of ground vehicles have been changed. Added in-game dialogue for control presets import and export in Windows, Linux and MacOSX. Crew skills common for both aircraft and ground vehicles will be now displayed in separate tab - logistical services. Separate decal types for holes and the results of hits with armour piercing shells and HE shells have been added. The smoke part of the tracer shell has been changed. Decals for British and Japanese tanks have been added (will be available later). The position of the XP-55 engine sounds has been fixed. Dubbing for tank crews in French and Spanish localizations has been added. Environmental sounds in the hangar have been changed. An option for national voice-over for crews is now available. At the moment you need to download the respective sound pack by temporarily switching the language in the launcher, after that please do not forget to switch back to your preferred language and choose a crew voice-over option in Menu-game settings- sounds. The ability to destroy medium and light tanks in aircraft battles by using 30 mm HE shells and higher has been fixed. DM for deflected aircraft surfaces has been fixed. Damage and detachment model for several aircraft has been reworked. Display of damage on the DM for aircraft has been fixed. DM of internal modules of aircraft has been fixed. Me 410 (all modifications) - Armour plating has been fixed. P-39,P-63,P-400 (all modifications) - Armour plating has been fixed. Yak-9B - Behavior of the chassis when hitting water has been fixed. Hudson Mk V - Superfluous gunner has been removed in the DM. MBR-2 - Aiming angles for defensive weaponry has been adjusted. Do 17Z-2 - In the crew research menu the amount of gunners has been refined. Tu-4, B-29 - Aiming angles for defensive weaponry has been adjusted. B-17G-60-VE - In the crew training menu the correct amount of gunners has been clarified. Wellington Mk X - Armour plating has been fixed. TBF-1c - Armour plating has been fixed. H8K2, H8K3 - In the crew researching menu the amount of the gunners has been refined. H8K3 - Armour plating has been fixed. H8K2 - Missing- gunners in the DM have been added. H8K2 - Defensive weapons have been clarified. Canberra, B-57 (all modifications) - Position of the player camera has been refined. P-51A - Possibility of the creating of the custom camouflage has been added. A-36 - Possibility of the creating of the custom camouflage has been added. Reloading time of the bombs in the arcade battles has been changed, now it is corresponds to the attacker type. Ki-87 - The ability to separate shooting for different calibres has been added..
BV-238 - Aiming angles for defensive weaponry has been adjusted. P-51D (all modifications) - Displaying of the G-Suit module has been fixed. P-51-D5 - Requirements for the mounting of additional weaponry (2x100 pounds and 6 HVAR rockets) from the bomb pylon modification, has been fixed. Ki-45 (all modifications) - Possibility of shooting from the turret with an inactive gunner has been fixed. Ki-45 Otsu - Aircraft weapons has been fixed. Instead of the ventral 37 mm Ho-203 canon, one 37 mm Type-94 anti-tank has been installed (Ho-203 was always installed only in the nose of the Ki-45) with the ability to fire armour-piercing projectiles. Nose 20mm cannon was replaced by 2 12.7mm machine guns. Refund for research RP and GE will be performed automatically. Initial speed of the HE shell of the 37 mm Ho-204 canon was changed from 576 m/s to 710 m/s in accordance with “OP 1667 Japanese Explosive Ordnance 1953 60A-26-1-2 Japanese Explosive Ordnance 1946”. Kikka - Thrust and high rudders has been added in the DM. Ju 88A-4 - Armour plating has been fixed. A7M2 - Secondary weapons module has been added. Sunderland Mk IIIa - Classification of the aircraft has been adjusted. PBJ-1H , PBJ-1J - Possibility to shoot from the rear turret by detaching of the tail has been fixed. Ability to mount 250 pounds bombs has been added. Po-2 - Thrust and high rudders have been fixed in the DM. IL-28 - DM of the gunners has been fixed. Beaufighter (all modifications) - Possibility of shooting from the turret with an inactive gunner has been fixed. G8N1 - Possibility of shooting from the turret with an inactive gunner has been fixed. Composition of the weaponry and ammunition has been fixed. G8N1 - Type 99 Mk I cannons corrected to later Mk II models. G8N1 - 13.2mm Type 2 corrected to 13mm Type 2. Name of the 13 mm Japanese Type-2 machine gun has been fixed. 20 mm Japanese Type-99 mod 1 turret cannon - Lack of armour-piercing shells in the belt for air targets has been fixed. P-26A-33, P-26A-34, P-26B-35 - Engine Injection modification has been removed. Spitfire F Mk.24 - 150 Octane fuel Modification has been added. Spitfire F Mk.22 - Ammunition for additional external cannons have been changed from 140 to 150 shells for each cannon in accordance with “Spitfire 22 aircraft data card”. Spitfire LF. Mk.IX - Old model IXc has been replaced by LF IXe variant. Weaponry have been changed to 2x20 mm Hispano Mk II cannons and 2x12.7 mm M2 Browning machine guns. Tuck’s Gladiator Mk.II - Injection modification has been added. TB-3 - Injection modification has been added. Sea Gladiator Mk.I - Injection modification has been added. B-34 - Injection modification has been added. Hurricane Mk.IV - Added new variants of additional weapons: 2 х 250lb and 2 x 500lb. An error, where additional weaponry was counted as part of the aircraft which lead to the bomb pylons affecting in the aerodynamics of the aircraft has bee fixed. Armour penetration for AP-I shells for ShVAK, VYa-23 and NS-23 cannons has been corrected. Loss of kinetic energy for AP rounds of the NS-23 canon has been fixed. Il-2М type 3 - Incorrect name of the bomb racks has been fixed. Il-2М “Avenger” - 4 х FAB-100 load being displayed as impossible to install has been fixed. Do-335 B2 - Ammo load for 30mm MK 103 has been adjusted according to Baubeschreibung Do 335 B-0 Zerstoerer. Do-335 A0 & A1 - Armament has been changed. A-0 received an option to change 20mm MG-151/20 to 15mm MGs MG-151/15. A-1 version - 20mm cannons replaced with 15mm MGs since the available sources only provide evidence for this armament variant. RP and GE spent for unlocking removed modules will be compensated. Hudson Mk.V - Ammo load for the upper defensive turret, Boulton Paul Type C, has been corrected according to British Aircraft Armament Volume 1 RAF Gun Turrets From 1914 to the Present Day, by R Wallace Clarke (Pgs 71 & 72). Fw.190F-8 - New variants of additional weaponry have been added: two launchers with 7 R4/M HL Panzerblitz Pb2 on each. F-86F-2 - Ammo types used in the 20mm ammo belts of the T-160 cannon have been corrected. Pyrotechnic tracers for AP and practice rounds have been replaced with smoke tracers according to “Final Letter on Project No. * APG/ADA/43-F-1, 17 Dec 1953 (Screenshot 6)- Project No. APG/ADA/43-F-1, COMBAT SUITABILITY TEST OF F-86F-2 AIRCRAFT WITH T-160 GUNS, 3 August 1953 (Screenshots 1-5)”. A-26-45 - In the crew training menu the correct amount of the gunners has been clarified. Hs-123 a1 - Name of the bomb racks ETC 50/VIIIb has been changed, reload time for the bombs in the arcade battles has been corrected. MiG-17 - G-Suit modification has been added. P-47N-15 - The amount of the ammunition for machine guns has been increased up to 4000. P-61C - Errors in the DM by destroying or failure of the flaps has been fixed. Bf-109 F4(F4 trop) - 500 kg bomb and pylon modification for this aircraft have been removed from the weaponry. All players will have receive a refund (RP or GE for purchasing of this modification) automatically. Bf.109K-4 - Ability to replace 30 mm MK-108 canon with 20 mm MG-151 canon has been added. Ki-21 Ko - Armament has been fixed. SBD-3 - Amount of ammunition for М2 machine guns has been changed from 1200 rounds to 360 rounds , in accordance with “SBD-3 and SBD-4 Dauntless PD - 6 August 1942”. 12.7mm М20 rounds (armour-piercing incendiary tracer), М8 (armour-piercing incendiary) for the series Browning M2 machine guns have been removed from available ammunition of the American aircraft of the initial period of war. Together with this, the effect of the M1 incendiary rounds and incendiary rounds of large calibres for other machine guns in game was reworked. The bullet can now hit unprotected tanks through the casing (Previously the bullet was bursting on the casing). Armour piercing values of the 30mm armour-piercing incendiary shell for МК-103 cannon has been fixed. Piercing corresponds to parameters of the same shell for the Kugelblitz canon. Ju-87 R2 - The aft gun was switched from MG-15 to MG-81. Firefly Mk. I/Mk.V - Ammunition of the wing canons for Мк.I was switched from 60 shells for each canon to 175 shells for internal and from 60 to 145 for external, for Мк.V - from 145 to 175 for external and from 175 to 145 for internal. AD-2 - The bomb reload time in the arcade battles has been fixed and is now corresponds to the attacker type o. The after armour after effect for the 40 mm and 47 mm armour-piercing shells for Vickers S and Vickers P canons has been fixed. The after armour after effect for the 57 mm shells of Molins M canon has been fixed. He-111 H-6 -Weapon belts have been corrected. I-16 (Entire series) Added self-sealing fuel tanks. I-16 (From the 10th series) Added armour protection for the pilot. Fw-190 A-5/ U2 - This aircraft was previously able to be incorrectly fitted with the R-1 Kit (2 underwing container and 2 x 20mm guns) with the ability to simultaneously load bombs, whilst also having night sights with the U2 model modification. A decision was made to divide the model into two aircraft; The Fw-190 A-5 / U12, the aircraft will replace the current U2, and the new Fw-190 A-5 / U2. The Fw-190 A-5 / U12 will only have the R-1 kit as a modification and the U-2 will only be able to install bombs. All Golden Eagles and research points for the disabled bomb modification will be refunded automatically (to owners of the old U2). Avenger Mk 1 - Possibility to control the aircraft with dead pilot has been fixed. Ki-45 otsu - Incorrectly attached 20mm Ho-3 course cannons have been replaced by Ho-103 machine guns. Avenger Mk 1 - Has been renamed. Correct name is Avenger Mk.II. Hurricane Mk IIb - Has been renamed. Correct name is Hurricane Mk.IIb/Trop. Fw.189A-1 - Classification has been fixed. The class “dive bomber” has been deleted. N1K2-Ja - Wrong external ammunition has been fixed. Variant with 2 х 500 kg was changed to 2 х 250 kg bombs. Crew members can now be penetrated by rounds that have 7.5mm value or more. A bug when it was impossible to put a 3D decoration on the M46 Tiger turret has been fixed. Shooting visual effect for Panther II/F, T20, T25, M18 Hellcat, M4A2 76W has been fixed. КV-1S, Panther Ausf F , Tetrarch Mk. I , T20 wrong armour values in tank’s info card has been fixed. T20 - Armour thickness in several locations has been adjusted according to “New Tanks for 1944, Office Chief of Ordnance, Technical Division, 1943”. M4A5 (Ram II) - Turrert rotation speed and vehicle’s maximum speed have been fixed according to “Tank Cruiser Ram II, Instruction Book April, 1943 Pg 131”, topic here. Armour of the turret has been clarified. Leopard 1 - a bug with gun crossing objects on the tank’s hull has been fixed. Leopard A1A1 - missing 20mm Mantlet Secondary Shield Armour has been fixed. M4 Sherman Calliope - depth level that causes drowning has been changed. Brumbar - Jgr.39 HL/A HEAT round penetration has been adjusted according to “World War II Ballistics: Armor and Gunnery (Lorrin Rexford Bird, 2001, Overmatch Press, Albany N.Y./USA, pg. 62”. M47 Patton II - Commander’s camera position has been corrected. M2A2 - a bug when you could still fire a high-calibre MG even when it had been broken has been fixed . M10 GMC and Achilles - thickness of counterweights has been fixed. Tanks of M4 series - elevation angle for turret AA MG has been decreased . IT-1 - coaxial gun operator has been fixed. Previously it was commander by mistake. The number of respawns for the FlakPanzer Gepard has been increased from 1 to 2 - The same as for the other SPAAG. DShK ammo damage and igniting effect has been fixed and is now similar to other high-calibre MGs. T-54 (all modifications) - a bug where one of the tank’s track was still moving whilst turning has been fixed. M103 Variable HE Penetration has been fixed. M103 Neutral turn has been enabled. M103 - Gun shield plate has been corrected from 127mm > 162mm. Rear turret thickness corrected from 51mm > 58mm. Turret side plates corrected from 93mm and 97mm, to Upper: 102mm, Mid: 107mm and Lower: 112mm. T32 Neutral turn has been enabled. M60A1 - Weight has been corrected to use Metric tons rather than US short tons. Centurion mk.10 - A issue which caused the incorrect number rounds stored has been fixed. The order of the ammunition loading has been corrected. M26 - A bug which caused the disappearance of tanks when approaching in the commander view has been fixed. 8,8 cm Pzgr. armour-piercing shell has been added to the ammunition for Pz.Kpfw.VI Ausf. H1 / Pz.Kpfw.VI Ausf.E / Heavy Tank No.6. P-63А-5/A-10/C-5 - The correct system of fuel distribution in the fuel tanks has been activated. Fuel quantity and ammunition loading now has a greater effect on the aircraft. The maximum speed that the flaps will be able to release is now 155 miles per hour. The speed required for safe operation of the landing gear is now 180 miles per hour, in accordance with the AFM (Aircraft Flight Manual). Roll speed is specified in accordance with the results of the test flights and have been increased on average by 10 degrees per second. Wing and tail polars have been reworked, mach-polar has been refined. Brake efficiency has been increased. Air resistance caused by the radiators has been clarified (loss of speed by a fully opened water-radiator is now ~11 mph, oil-radiator ~7 mph) according to the test flights. Maximum number of M=0.81, according to AFM (Aircraft Flight Manual). Wartime Emergency Power (WEP) has been correctly specified for the engine. For the P-63А-5 it is now 5 minutes by turbocharging with 61". For the P-63A-10 and C-5 it is now 10 minutes by turbocharging with 75" with water methanol injection enabled. Water methanol reserve in the tank is enough for 15 minutes. P-63C-5 - A new engine, V-1970-117, with improved high altitude characteristics has been mounted. The impact if the installed dorsal fin and increased area of the horizontal tail (stability of the course and tangage) has been correctly calculated. LaGG-3 (all modifications) - The correct system of fuel distribution in the fuel tanks has been activated. Fuel quantity and ammunition loading now has a larger effect on the aircraft. Fuel consumption in all flight modes has been increased. Control when using mouse aim has been improved. Aiming and maneuvering using full control mode has been improved. Influence of the reactive torque at the takeoff has been reduced. TB-3 - Flight model has been updated fully. Priority of fuel tanks usage has been established in the correct order. With lower fuel loadouts, the aircraft is much lighter, has low inertia and is less flammable.Fuel quantity and ammunition loading now has a larger effect on the aircraft. Forced engines, which facilitate the take-off by shortly increasing their characteristics have been installed. Thermodynamics has been adjusted. Gladiator (all modifications) - Engine work has been refined. Thermodynamics have been adjusted. Priority of fuel tanks usage has been established in the correct order (spare-main). Alignment and inertia by using them has been refined. Wing box, characteristics of the stalling by clearwing have been recalculated. Flap positioning now affects rigidity of the aircraft frame and its influence on strength. I-16 (all modifications) - Behavior, alignment and inertia for different fuel loads, series and weaponry have been reworked according to the documentation of the aircraft. Forced engines, which facilitate the take-off and short forcage in combat modes have been updated. Thermodynamics have been configured. Chassis armourisation has been recalculated for various models of the series. In the 5th series for the flight model appeared emulation of the flaperons, by other series speed of the releasing and toggling in dependence of the mechanic type have been refined. Ki-10 - Control during takeoff and landing has been refined. New oil amortization chassis. Priority of fuel tanks usage has been established in the correct order. Thermodynamics have been configured. P-26 (all modifications) - Turn rate improved. Chassis amourisation reduced. Fuselage characteristics have been reworked. Sliding and stalling characteristics have been reworked. Injector added to the 34th series. J7W1 - Thermodynamics and Ha-42-43 (MK9D) engine characteristics have been corrected. The correct type of supercharger has been modified (supercharger with variable number of RPM has been installed). А6М2-Н - Position of the aircraft whilst within water has been corrected. Spitfire / Seafire series - Thermodynamics have been corrected. Oil radiator control has been switched off, engine characteristics corrected, aerodynamics and weight balance have been changed towards neutral values, flight characteristics have been updated and now are more historically accurate. Spitfires V and IX (merlin 61 engine) have fuel resistor that provides longer work for float-type carburettor at negative G. Spitfire LF Mk IX frontal airflow resistance. Maximum engine boost for Spitfire 24 and Seafire 47 has been increased up to +21 PSI. maximum engine power has been increased up to 2300 hp. Fuel has been removed from the rear ferry tanks. B-29 - The fuel distribution in tanks has been adjusted. FW-190a/d (all modifications) - Boost pressure and RPM by switching the blower have been fixed. Ju-88 (all modifications) - Fuel consumption at all engine operating modes has been decreased. Ju-88C-6 - Has been initially configured according to the data sheet. He-100-d - Has been initially configured according to the data sheet. F6F-5 - Has been initially configured according to the data sheet. F6F-5N - Has been initially configured according to the data sheet. Ki-100-II - Has been initially configured according to the data sheet. La-11 - Has been initially configured according to the data sheet. Ki-21-hei - Has been initially configured according to the data sheet. Та-154A-1 - Has been initially configured according to the data sheet. Тu-14 - Has been initially configured according to the data sheet. N1k1- Has been initially configured according to the data sheet. Short Sunderland Mk.V - Has been initially configured according to the data sheet. Hampden Mk 1, TB 1, TB 1 UTK - Has been initially configured according to the data sheet. Error with order “Best Squad” (LeoBardi). Japanese AI in the Ki-21 circling over the Allied airfield without taking part in the battle (LookBlueGoPurple). Error with the series of the kills by destruction of an ally (MasterBLB). Error with the fuel load of the Me-262C-2b when respawning in the air (xRasor). Error with the binding of the actions on the buttons for PS4(*PureGT_Muzz). Typo in the name of the launcher window in the German localization (DafabHoid). Indicators of the sight in the replay for naval battles was pointed below the hit places (Felmyst). Fixed the sound of aircraft ordnance striking ground vehicles. Maximum fire rate of the 150mm Type 4 Ho-Ro cannon mounted on tank destroyers has been changed from 7.7 shots per minute to 3 shots per minute. A bug, where in some cases large calibre HE shells wasn’t fused when striking low armoured targets has been fixed. The effect of "camera shake" has been turned off for rework because of user complaints. Multiplication for sights on the Tiger II (P) and the Black Prince have been returned to the value in version 1.63. A Christmas tree with fireworks has been added to the hangar. A bug, where in some cases, shell fuses were not triggered when striking low armoured components (such as rollers, optics, tracks and other elements) of ground vehicles where the shell itself was destroyed without explosion has been fixed. Visibility system in combined battles has been improved. Frequency and number of visibility checks on the low and medium graphical ranges have been increased. Parameter of unconditional detection radius for all crews, regardless of the crew skill is now maximum for ground vehicles in RB. Radius of unconditional detection has been increased from 47 to 75m. Reload time for anti-aircraft cannons on capture points has been decreased. A bug that made it impossible to install a 3D decoration on the stern and on the roof of the T-62 has been fixed. If the client files are changed then the launcher will be auto-launched and all files will be re-verified. Synchronization problems with the ground vehicle gun barrel position after flying an aircraft (and on some other occasions) has been fixed. A rare bug with the new control presets for PS4 has been fixed. Ho-Ni I/Ho-Ni III (-10/+20). Source: 九〇式野戦砲取扱法 (Type90 Tank Cannon Handling), Army Technology Headquarters. Chi-Ha Kai/Chi-He (-15/+20). Source: 試制1式機動47粍砲研究報告 (Type1 47mm Trial Report), 1st Research group, Ministry of the Army Ministry of Technology Headquarters. Chi-Ha (-15/+20). Source: 九〇式５糎７戦車砲仮制式制定の件 (Establishment of the Type97 57mm Tank Gun), Army Technology Headquarters. Panzerbefehlswagen VI P - Gunsight magnification value has been fixed. Т-34 1941 with L-11 cannon - Missing front armour plate in tank turret damage model has been fixed. Chi-To - Incorrect ammunition capacity has been fixed (was 120 shots) to 55 shots. Chi-Ri - Incorrect ammunition capacity has been fixed (was 120 shots) to 100 shots. Chi-Nu / Ho-Ni I / Ho-Ni III - Fire rate has been changed from 7.8 shots per minute to 10 shots per minute. Source: Japanese Tank and Antitank Warfare. Military Intelligence Division. War Department. Graphical glitch on the bomber wing tips in cockpit view has been fixed. Chi-Nu - from 6 to 10.4 degrees per second. Source: 主要兵器体系 (Main Weapon System Controls), Ministry of Army. Chi-To - from 6 to 12.7 degrees per second. Source: 主要兵器体系 (Main Weapon System Controls), Ministry of Army and 対戦車戦闘の参考 (Reference for tank fighting), War Command. Chi-Ri - from 6 to 9.2 degrees per second. Source: 主要兵器体系 (Main Weapon System Controls), Ministry of Army. The calibre of artillery support has been changed. Now all vehicles that are able to call in artillery support, will be supported with 152 mm shells. Fixed the animation of the Fv438 Swingfire's missile launch. La-9 - Only the central fuel tank and centre-wing tanks are now being used operationally. Fuel consumption has been increased to 325 g/HP-hr at WEP and to 315 g/HP-hr at 100%. Acceleration dynamics in horizontal flight and during take-off have been improved. La-11 - Fuel consumption has been increased to 325 g/HP-hr at WEP and to 315 g/HP-hr at 100%. The order of how the ammunition is spent in E-100 has been changed. Sdkfz 9 Flak 37 marker on the minimap has been changed to SPG. Number of crew members required to be knocked-out in order to destroy Na-To has been fixed. Camera position for Type-98 Ke-Ni has been corrected. MG turret armour thickness of the M4A5 tank has been corrected from 50.8mm to 63.5mm (according to Microfilm, Canadian archives, AFV data sheets, Microfilm, Canadian archives, Penetration table, source No. O.B. /44/CV. 28). M551 - maximum speed has been changed to 69 km/h (according to согласно Sheridan a History of the American Light tank Volume 2 by R.P. Hunnicutt). Sights magnification has been changed for the following vehicles (returned to default values): IS-2, ISU-122, ISU-122S, ISU-152. Two new Japanese ground vehicles are available for research and purchase for all the players: Type 98 Ke-Ni and Type 97 Chi-Ha. The way in which ground forces ammunition replenishment works on captured points has been changed. Each loaded shell will now immediately appear as usable ammunition, and there is no longer a need to wait until you are fully loaded before you can use it. The armour piercing indicator in ground forces Arcade Battles has been improved. The colour has been changed from gray and will now be yellow in cases of possible ricochet, and red in cases with a high chance of ricochet. The influence that the skill “tank driving” has on the driver has been changed. Now it influences the reaction time related to pushing and pulling vehicle control apparatuses while turning and braking. These reactions have been improved for all variants of the improvements for this skill. BR changes for ground vehicles and aircraft. Type 2 Ka-Mi and Type 97 Chi-Ha Kai are now available for research and purchase for all players. The radius of 100% vehicle visual detection (in ground battles) has been temporarily* increased from 75m to 215m. F4U (all modifications) - Water injection consumption has been fixed. Operating time with injection has been increased up to 8.5 minutes (was 7.5 minutes). He 112B-0 - In-game vehicle card has been changed to correct values. Ki-100-2 - Maximum engine power in X-Ray view has been fixed. BV 238 - Inoperative instruments in the cockpit have been fixed (source). Bug where after battle, preselected ammunition loadouts were reset has been fixed (source). Collision model of the buildings in the “Abandoned Factory” location has been fixed. Type 1 Chi-He and Type 3 Ho-Ni III are now available for research and purchase for all players. Fixed errors in the T-54 series damage model with some penetration damage effects on internal modules and components when getting hit from front. Fixed a bug in the IS-3 damage model associated with the reduction of driver’s ability when machine gun fire hits the vision port without penetrating the armour. Fixed a bug in the Ferdinand’s damage model associated with the reduction of driver and radio operator abilities fire hits the frontal additional armour plate with a thickness of 100mm without penetrating the armour. Added the ability to elevate and depress launchers on the IT-1 and Raketenjagdpanzer 2. Reduced the recoil of the Type 60 SPRR. Value of the lower front armour plate has been changed from 25mm to 15mm for the following vehicles: Chi-Ha, Ho-Ni I, Ho-Ni III, Chi-Ha Short Gun. Source: War Office Technical Intelligence Summary No.7, May 1945. Fire rate for Chi-He has been fixed. Fire rate is now the same as the Chi-Ha Kai with the same Type 1 cannon - Now 18 shots per minute. Thickness of the metal on the cannon barrels for the Chi-Ri II has been fixed (increased): 37mm cannon - from 5mm to 17mm, 75mm cannon - from 5mm to 22mm. KV-1B - Bug with “Crew Replenishment” icon has been fixed. Previously the icon with soviet tanker was used. Type 62 - 3BK2 HEATFS shell has been added to the ammunition. The Battle Rating has been changed from 5.7 to 6.7 for all battle modes. Reload time for the following vehicles has been changed (from 1 second to 3 seconds): 2cm FlaK.38 (Germany), 20mm Type 94 (Japan). The amount of armour piercing shells in the magazine for 2cm FlaK.38 (Germany) cannon has been reduced by half. Now there are 10 Pzgr. armour-piercing incendiary shells and 10 Pzgr.40. high-velocity armour-piercing shells. Parameters of transmissions on КV-1С, КV-85, КV-122 and SU-152 have been changed. Maximum speed, (forward/reverse): КV-1S — 45/16 km/h; КV-85 — 34/13 km/h; SU-152 — 43/16 km/h. КV-122 - 34/13 km/h. Source: “Operating Instructions for КV-1С”, 1943, re-print “Gantut”; “Domestic armored vehicles”, 1941-1945, part 2. "КV tank. Quick service guide”, GABTU KА. 1943". Queues for events with identical lineups for teams will now be displayed not by teams, but by nations (like the queues in random battles). Now it is possible to invite more people to a squad than remaining free space (you are able to invite multiple players while the squad is not full). Seasonal hangar has been switched off. Type 60 - a bug where ammo allocation was incorrect after changing specific ammo types has been fixed. Na-To - open hatches position on the destroyed vehicle has been fixed. Fw 190 F-8: rocket type corrected to HEAT. A rare bug where test channel did not operate whilst voice chat with push-to-talk option was enabled. A bug where mounted/attached objects on a vehicle could be shot off by allies without causing damage to the vehicle. Location “Jungle”: A bug when it was possible to shoot through the bridge from below has been fixed. Water visuals have been improved for minimal graphic settings in compatibility mode. Decals on vehicles now reflect in the water. Water on the minimal settings now looks like water on low settings. A bug where on occasion the sound of the aircraft isn't played in a replay, has been fixed (source). A bug where the waiting player numbers is displayed incorrectly in the queue has been fixed. Client stability has been improved. Chi-Nu II BR has been lowered from 4.3 to 3.7 in all modes. Type 62 - Angle values for vertical gun elevation and depression have been fixed: previously: -4/+20, now: -5/+22. Elevation/depression speed has been fixed: previously 4 degrees per second, now 10 degrees per second. Fire rate has been increased from 7 to 8.1 shots per minute. Source: Domestic Artillery Handbook (国产火炮手册), People's Republic of China Department of Weapon Industry's Second Management Bureau (中华人民共和国兵器工业部 第二管理局), November 1982: Elevation and Depression in P.271-272. Type-62 Light Tank: Weapon Structure and Usage(六二式轻型坦克武器构造与使用), Chinese People's Liberation Army Armored Force Command (Chinese: 中国人民解放军装甲兵司令部), May 1972. Type 61 - transmission ratio updated. Engine power has been decreased from 600 to 570 h.p. Reverse speed has been increased from 3 km/h to 8 km/h. Autocannons that are used on SPAAs now have overheat value and a separate value for reloading after overheat. Kugelblitz - filling of the belts with APCR rounds has been reviewed. Current filling: APCR-HE-HE (earlier it were only APCR). Refilling of the cassettes with HE shells has been reviewed. Current refilling HE-HE-HE-API (earlier it was: HE-HE-HE-APCR). FlakPz.I Gepard - filling of the belts with APDS rounds has been reviewed. Current filling: APDS-HE-HE-HE (previously there was only APDS). Pz.Kpfw.II Ausf.C/F; Pz.Kpfw.IV Ausf C/E/F1/F2/J/H; Pz.Kpfw.VI Ausf H1/E; Pz.Kpfw.VI Ausf B/Sla/KwK.46; Pz.Bfw.VI P; VK4501 P.
B-34 - Incorrect chassis animation has been removed. Ar.234B-2, Ar.234C-3 - DM of flaps, ailerons, rudder has been fixed. F7f-1, f7f-3 - DM of flaps, ailerons and rudder has been fixed. He-219A-7 - DM of flaps, ailerons and rudder has been fixed. MBR-2-M-34 - DM of flaps, ailerons and rudder has been fixed. Me.410 (all modifications) - DM of flaps, ailerons and rudder has been fixed. Hampden Mk.I (all modifications) - incorrect armour has been fixed. La-15 - armoured glass has been fixed. MiG-17 - Armament info display in x-ray mode has been fixed. MiG-9, MiG-9L - Armament info display in x-ray mode has been fixed. G5N1 point angles of the upper turret have been fixed. P-39 (all modifications) - Message appearing regarding loss of consciousness for the gunner when aircraft has been destroyed has been fixed. Sunderland Mk.5 - Incorrect information for defence weaponry in the X-Ray view has been fixed. F8F-1, F8F-1B - Incorrect sequence of bomb dropping for the variant with 3х1000lb has been fixed. B-34 - The ability to choose separate guns whilst using the offensive weaponry has been added. A bug where occasionally a vehicle’s DM icon became magnified has been fixed (source). Client stability has been improved. Na-To - fire rate has been improved from 7.8 shots per minute to 10.2 shots per minute (and now is equal to the fire rate of the Marder H). ZSU-37 - APCR belt has been updated, now it has the following filler - APCR-HE-HE (previously it had only APCR rounds). In all [Ground attack] missions for BR ranges between 3.3 and 5.7 all respawn points for fighters are now higher by 500m and for bombers lower by 500m. A greater number of bombs will now be required for base destruction at higher ranks (the strength of bases has been increased by 15%). In combined battles in the locations “Poland”, “Eastern Europe”, “Kursk” and “Tunisia”, the airfield has been changed by increasing the runway to 2km length. ZSU-57-2 - the ammo belt has been updated. Now uses APCBC-HE (instead of APCBC). Ta-Se, So-Ki - listed as SPAA instead of medium tanks. Breach repair speed has been reduced by 40%. Crew replenishment speed has been increased by 33%. Effect of armour slope (slope effect) for AP and APC shells when the calibre of the shell exceeds the armour thickness more than two times, has been fixed. All the vehicles that have their SL costs changed, have their RP requirements for research and modifications automatically updated, same for the crew training. [Ground strike] Mission on African Canyon and Desert Coast locations have new (test) logic that increases number of ground units depending on the BR. BRs 1.0-5.0 - no increase. BRs 5.0-6.7 - 6 additional ground units for each team, BRs 6.7-8.7 10 more additional units. 8.7+ - again 6 more units. The amount of added units will be corrected according to the results of the test. In Air RB missions (for the BRs 3.3+) incorrectly increased base durability has been fixed. This does not affect AB. The amount of the points lost after the base is destroyed has been decreased (it used to be 10% of maximum, from now on it’s 7%). It will be implemented for all game modes. The above mentioned changes have been implemented in order to avoid extremely short game sessions, where heavy bombers quickly destroy bases and airfields and to increase the role of the ground units, thus increasing the role of the attackers. A bug where 3D decorations became covered in mud faster than other parts of any given ground vehicle has been fixed. Bug Report. A bug where knocked-out crew members in a ground vehicle were displayed incorrectly in “hit cam” view has been fixed. Bug Report. A bug in server-side replays where the repair sound was randomly triggered, has been fixed. Bug Report. Water visuals have been improved. Tracer visuals have been improved for all guns of all vehicles. They also now reflect in water. The belt filling for the coaxial and AA 7.62mm-7.92mm MGs has been changed: now the belt contains ½ to ⅓ of the tracer or AP-T rounds. Universal belt filling for the ShKAS MG has been updated - the round with the T46 bullet has been removed, and the tracer belt round with the B32 bullet has been added. The belt filling for the Browning 7.7mm has been updated: The tracer belt now consists of T and AP-I ammo in the ratio of 1 to 1, and the stealth belt now has 2 AP-I and 1 I round. 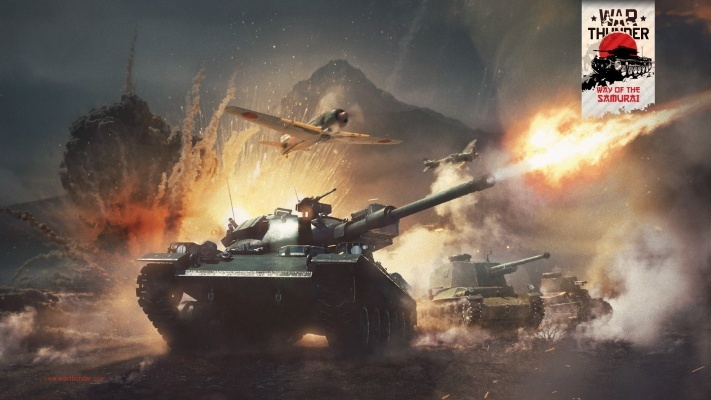 A bug, where daily Battle Tasks were not displayed for some players, has been fixed, and the cost of vehicles in the war bonds shop has been reduced by 100 war bonds as compensation. New rewards for upcoming events and specials have been introduced. The exact distance values may be found in the “Keen Vision” skill description. A bug related to the lighting of grass has been fixed. A bug, where the control settings assigned to the F11 key were not applied, has been fixed. Leopard I/Leopard A1A1 - sights magnification has been fixed. Now it’s x8 and x16 when zoomed. A rare bug where aircraft ammo belts would be replaced with standard ammo belts following the end of a battle has been fixed. A rare bug where a vehicle that was chosen from the tech tree would not appear in the desired new crew slot has been fixed. A rare bug specifically for linux systems, where tank tracks on the ground were not displayed correctly, has been fixed. A bug which would cause shadows to flicker on the surface during air battles has been fixed. A bug when an APHE round’s fuse didn’t detonate after penetrating the driver’s hatch on T-34 tanks has been fixed. This page was last edited on 5 January 2019, at 06:02.